When you are concerned about removing your unwanted body hair and exhibit your flawless and glowing skin, then you certainly need Veet Sensitive Touch Expert Electric Trimmer. The electric trimmer is ideal for removing unwanted body hair in sensitive body parts such as eye brows, upper lips, underarms, bikini, hands and legs effortlessly. You need not worry about pain due to blade cutting your skin. The easy to handle electric trimmer removes unwanted hair gently without any pain. The trimmer is designed in such a way that blade has no direct contacts with your skin. It removes hair without any pain or cut on your skin. The product is compact and elegant that it can be carried in your vanity bag for quick touch-ups anywhere and anytime. You can seamlessly achieve precise trimming and styling the way you wanted and look glowingly beautiful. Veet Sensitive Touch Expert Electric Trimmer for Women is water proof, meaning, you can use it in shower conveniently. You can rinse the trimmer with water after use and reuse it. - One product with multiple accessories for varied uses such as precision head, bikini head, comb, cleaning brush, beauty pouch, beauty cap and battery. 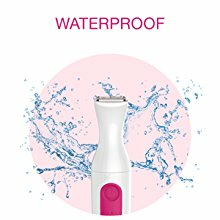 - Water Proof: The trimming head is absolutely water-proof. The convenient grip make it comfortable for you to remove your hair in your washroom. It can be rinsed with water after usage. - Quick and Gentle: Effortlessly get rid of any unwanted hair in one go without any fear of cuts or wounds. Get flawless and smooth skin all over your body without any pain. 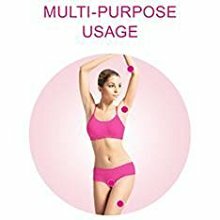 How to use Veet Sensitive Touch Expert Electric Trimmer? 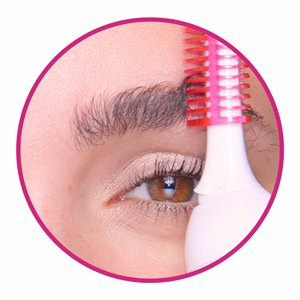 For Trimming: Use the small head meant for eyebrow and add the comb. Place the trimmer over your eyebrow and gently move it over your eyebrow. You have to move it in the opposite direction of hair growth. For Shaping: Remove the comb and attach high precision head. Put the trimmer over your skin and push it across the eyebrow. For Bikini Area Shaving: Use the larger head for gentle shaving or shaping the hair for bikini use. Touch the skin lightly and move the trimmer to the opposite direction of hair growth. 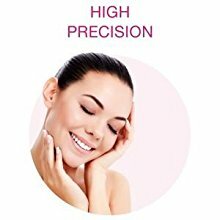 For upper lips and chin: For removing small hair growth in the upper lips and chin, you can add high precision head on the trimmer. Touch the skin gently and move it in opposite direction of hair growth. For sideburn: You can use small head and comb for trimming side burn. For shaping sideburn perfectly, remove the comb and use high precision head. You have to touch the skin lightly and move the trimmer around the sideburn. You are requested to read the instructions thoroughly before using the product. The following precautions need to be followed. Please try the product first on your arms or legs to know whether your skin is sensitive or allergic to cosmetics or too sensitive to get irritated when shaving. Do not use shaving gel or foam. You should use the trimmer directly on your skin only. Though the trimmer is water-proof, do not rinse it or soak it in tap water or sea water or hot water. For safety reasons, keep out of reach of children. What is the durability of blades? How long will it last? Should I need to follow any pre or post treatment regime with sensitive precision? How to clean the product after usage? - Use the brush to clean the blades. Bikini and Face heads can be rinsed in water and then wiped dry. Remember not to rinse the main trimmer body under water. 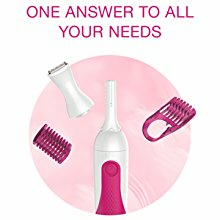 Can trimmer be used under shower? 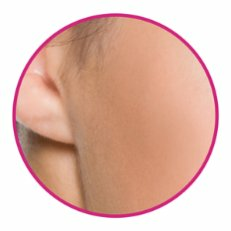 How safe is the trimmer for my skin? - It is perfectly safe for all skin types. As the blade will not have direct contact with the skin, there is no worry about skin cut or pain. What are the other Veet products that are worth trying? - Veet Hair Removal Cream and Veet Spa Wax are helpful to get rid of body hair. These two products are effective for getting full body depilation results. Veet Sensitive Touch Expert Electric Trimmer for Women is the best way to removing unwanted hair from your body. The product is absolutely safe and can provide desired results. You are advised to go through tutorials for more tips and instructions with regard to using the product effectively.